Do want to know what you are going to fly in future? 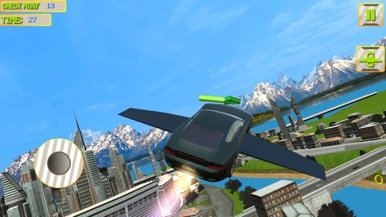 Here is this game where you will enjoy the futuristic flying cars. You can also learn the how to fly the future cars and flying machines. These jet car will give ultimate experience of your first flight. 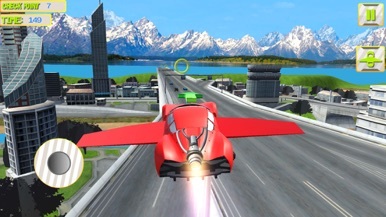 As it’s a flying car game you also have to drive your car on the road. 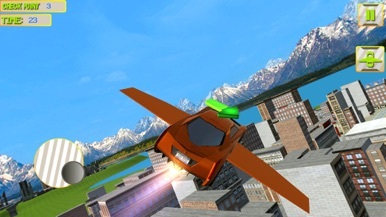 The game has very rich and beautiful texture of 3D flying city. 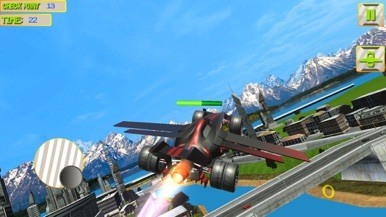 You will to drive and fly in this environment. While playing the game you feel the realistic feel of the environment. This kind of environment have its own class in 3d environment. 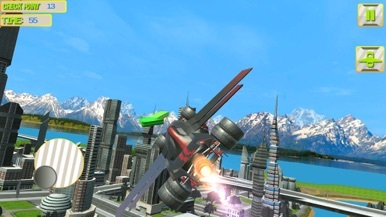 This game has many contents like zig zag race, realistic flight pilot, car simulator 3D, 3D flying, racing 3D car 3D and extreme car driving 3D. This game has very beautiful game play like you have never experience before. Your first car is free to drive and fly. Now start your game and meet all the checkpoints in the city to complete your level. At the end of each level you will earn the money with this money you can buy new and improved cars. With these cars you can perform better.